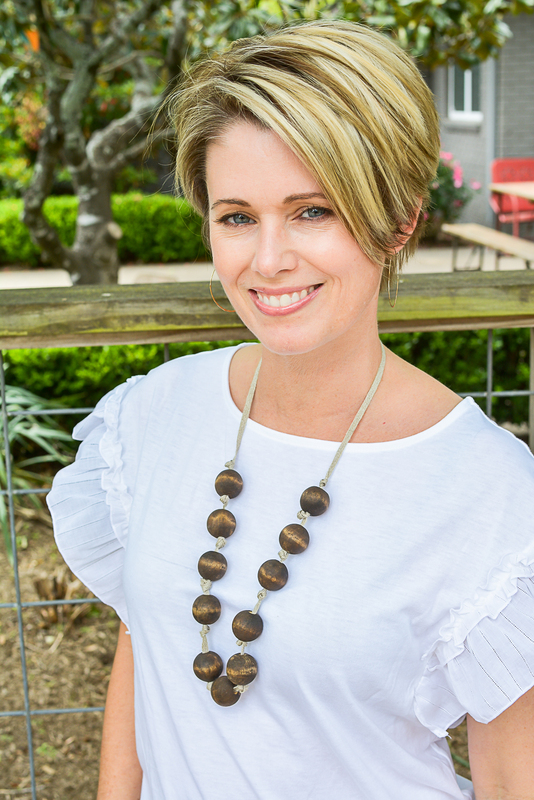 March 6, 2016 20 Comments This post may contain affiliate links. 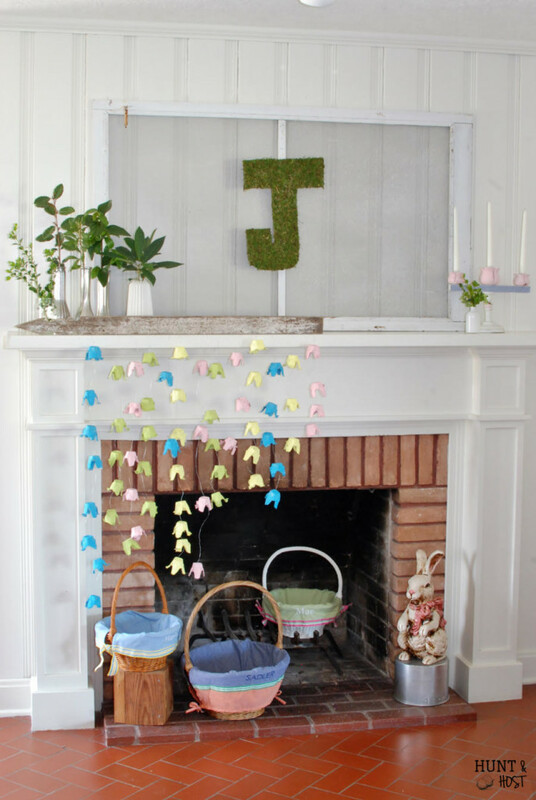 Last week I shared my Spring mantel inspired by Magnolia Market’s crafty Spring idea. To complete the fresh look of the mantel I added a DIY Moss letter. They are silly easy to make. Most people buy letters to cover. Then you have to buy the moss. And that starts to add up. 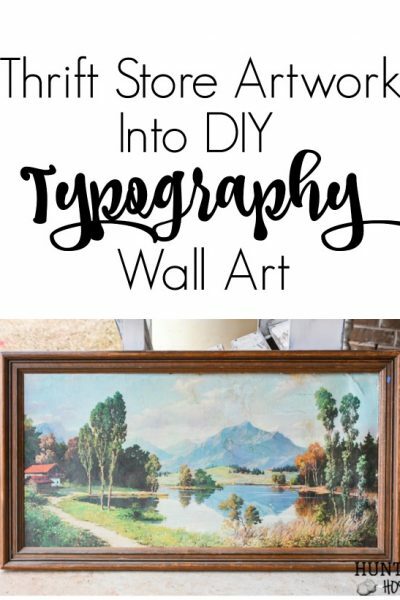 Plus you have to find the right size letter, in the font you want…this easy project turns into a goose chase. I didn’t want to hunt for a pre-made letter. Scale was an important factor in my moss letter. It needed to be big enough to anchor the mantel space. 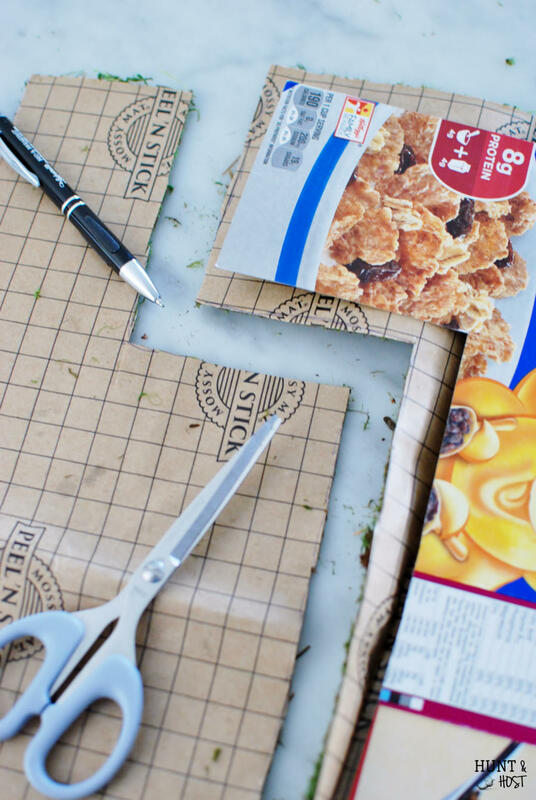 I started with a cereal box, which is the go to multi use product from our kitchen. I use them for all kinds of things! 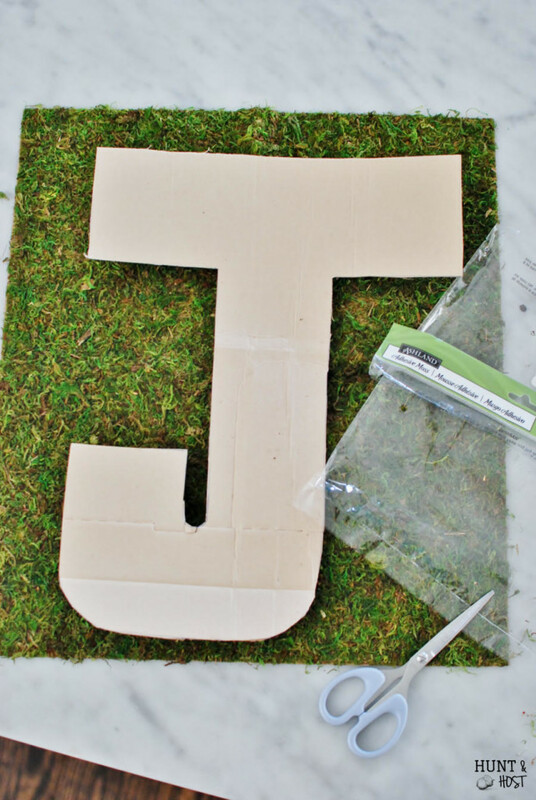 I hand lettered my J, but you could easily find a font you like online and print to your desired size and trace it. If you need a larger letter, freehand is the way to go. 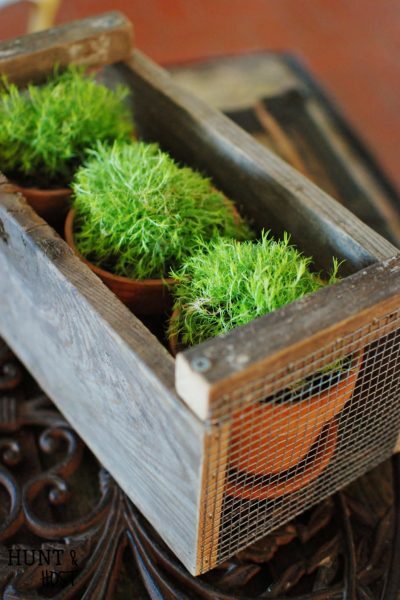 Moss comes in a variety of ways, but I bought the adhesive sheet kind (affiliate link). Just make sure your sheet is large enough, or has enough to cover a super large letter. The sheet I bought ended up having moss to spare, so I will be making another project with it! Trace your letter the wrong way on the wrong side of the moss. 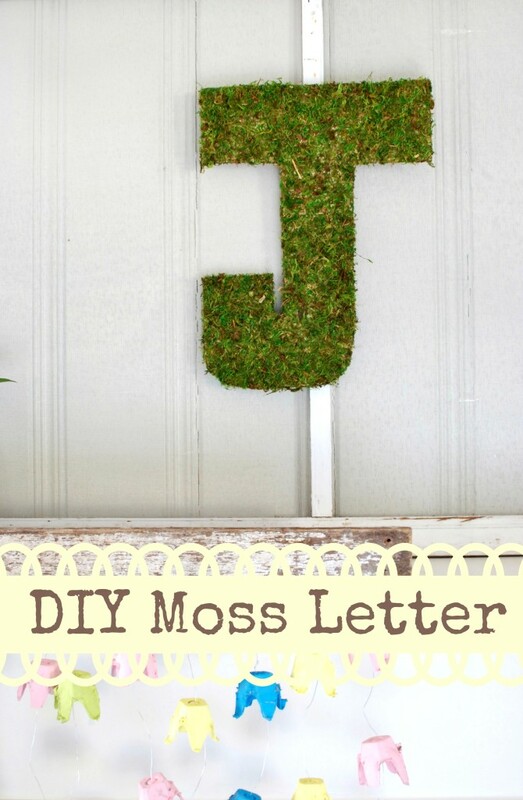 Cut your moss approximately 1/2″ wider than your letter. Flip and peel off backing. Beware – if you use the adhesive sheets they are STICKY! Like rat trap sticky. 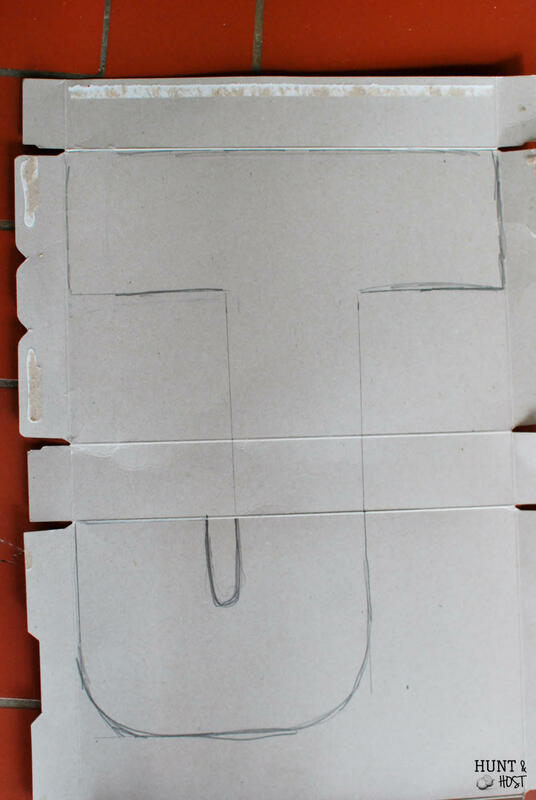 Soooo….don’t put your cardboard letter down till it’s exactly where you want it! 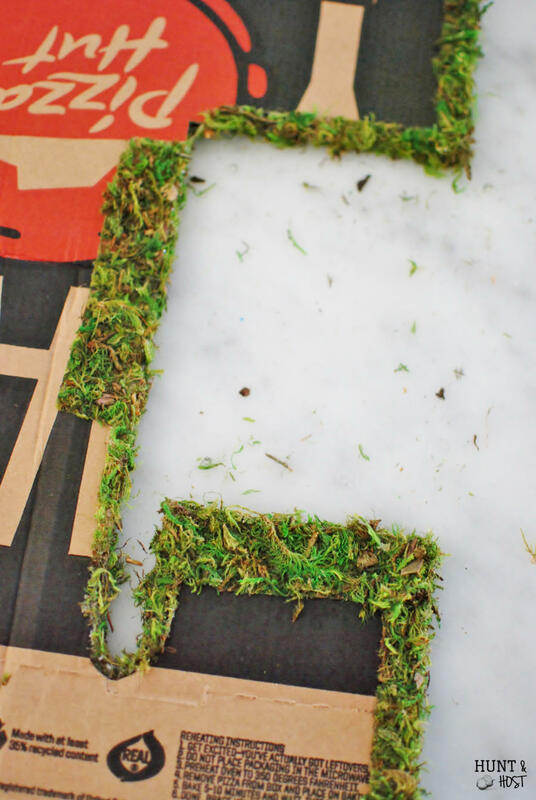 Gently wrap the outsides around your letter, cutting in the corners and curves where needed so you don’t have large piles of moss. I used Gorilla Glue to secure a paper clip to the back as a hanger. You could make all sorts of letters or phrases as fun additions to use anywhere in your home for a fresh Spring touch. What do you think? Easy enough? Simple and screams spring! Love it! Moss and monogram! Perfect way to say Spring. thanks – it was so easy! thanks for stopping by, there are so many good projects! Nothing says Spring like moss. 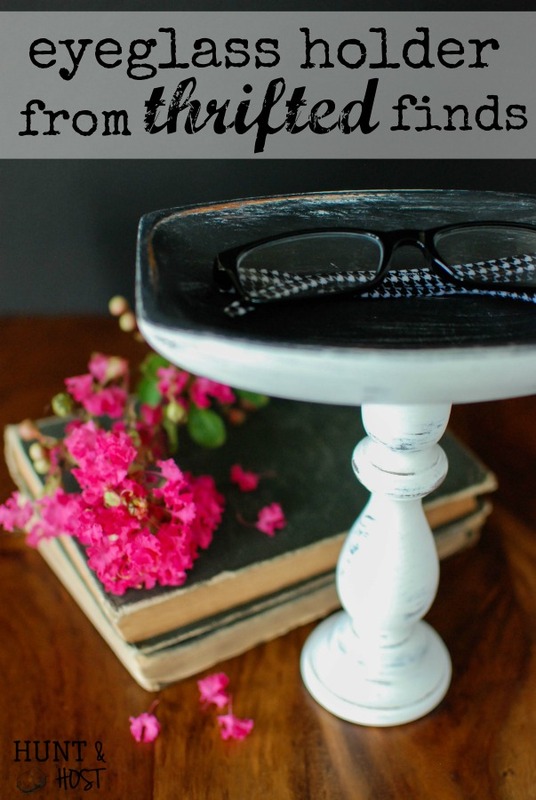 You mantel looks great! Thanks Patti! Glad you like it and yes moss is starting it’s show here! “Like rat trap sticky” – I literally LOLed! This is awesome! 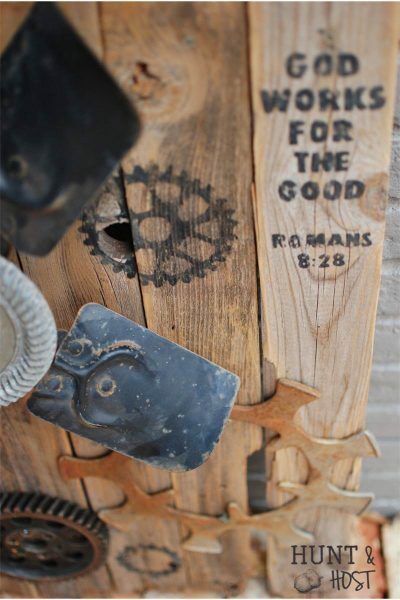 I have my egg crates ready for last weeks project and now it looks like I need to add an M to the mix! unfortunately I am aware of how sticky those rat traps are and it was all I could think of while I was doing this project lol!!! You would love it Lucy! I could see you using it so many ways!!! I love that you made your own letter and not bought one. It looks really great ! Thanks Claire – that is the biggest money saving part! Visiting from the Spring blog hop! It is pretty amazing stuff! I’m also a big fan of cereal box repurposes. In fact I must have about 10 of then right now in my spare room. Your letter came out adorable. 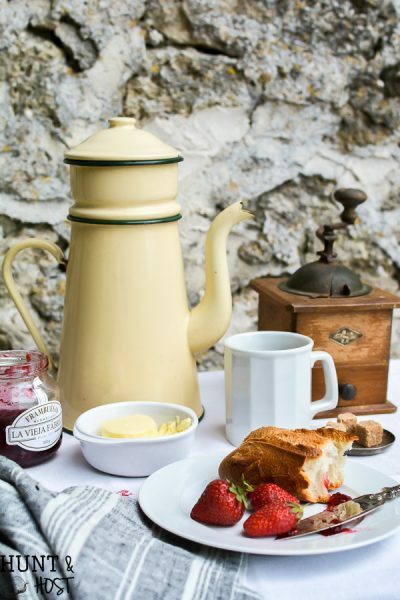 And just perfect for Spring. Visiting as a fellow contributor from the blog hop. thanks for stopping by Mary. We go through cereal boxes like crazy here, so I am always using them up!